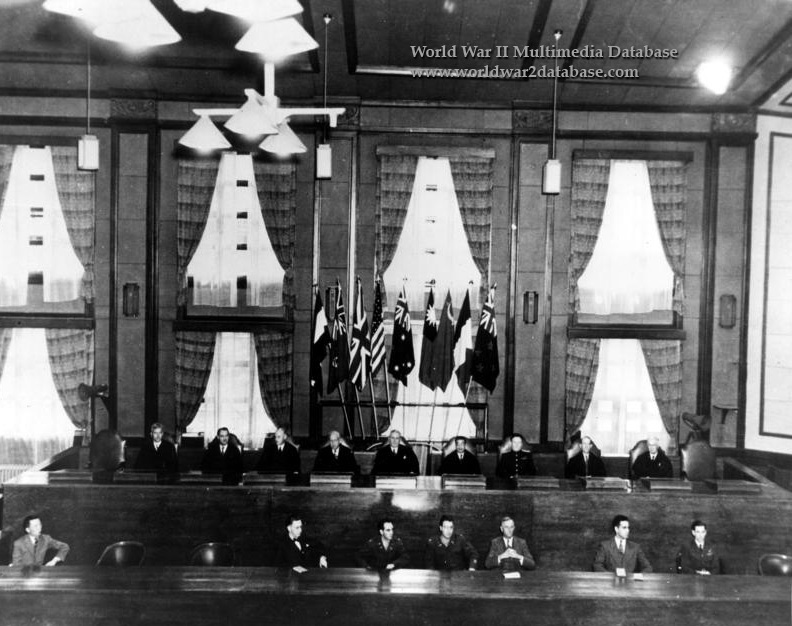 Judges of the International Military Tribunal for the Far East. Sir William Webb, Australia, President of the Tribunal; Edward Stuart McDougall, Canada; Major-General Mei Ju-ao, Republic of China; Henri Bernard, Provisional Government of the French Republic; Radhabinod Pal, India; Professor Bert Röling, Netherlands; Harvey Northcroft, New Zealand; Colonel Delfin Jaranilla, Philippines; Lord Patrick, United Kingdom; John P. Higgins, United States (until July 1946); US Army Major General Myron C. Cramer (after July 1946); Red Army Major General I.M. Zarayanov, Soviet Union. The prosecutors were Chief Prosecutor Joseph Keenan. United States; Justice Alan Mansfield, Australia; Brigadier Henry Nolan, Canada; Hsiang Che-Chun, Republic of China; Robert L. Oneto, Provisional Government of the French Republic; P. Govinda Menon, India; W.G. Frederick Borgerhoff-Mulder, Netherlands; Brigadier Ronald Quilliam, New Zealand; Pedro Lopez, Philippines; Arthur Comyns-Carr, United Kingdom; Minister S.A. Golunsky, Soviet Union.